My checkered golf career, if I may deign to call it such, is a chronicle of clubs used and discarded, and my bulging garage is proof. I have played Yamahas and Yonexes, Goldwins and Silver Scots, Cobras and Hogans and the list goes on and on. If I wasn't such a religious hoarder, I'd be an e-Bay all-star with money to blow on Cuban cigars and designer martinis. It is always with great faith and hope that I try the newest configuration, the latest miracle alloy of titanium and peanut butter (for resiliency and a soft feel? ), all in a fruitless quest to shave a stroke or two off my static handicap. For this questing I am teased mercilessly by my older brother, who often says: "It's the archer, not the arrow," or some such stale homily. Well, I think I've finally got the wrenches that will shut him up, and they may stay in my bag for years to come: Titleist's new best-of-both-worlds 704-CB irons, a forged club with a cavity back that offers a solid feel and softness all in the same clubface. That's the winning combination the pros demand, and an impressive lineup of them already have taken to the 704's, including Ben Curtis, Tom Pernice, Jr. and Brad Faxon. 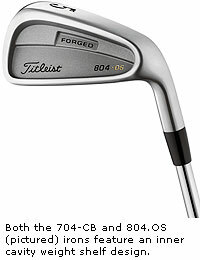 Common to the new forged stainless 704-CB and 804.OS (oversize) irons is the forging process from high-grade soft stainless steel alloy, which is heat-treated to the same softness as Titleist's classic 600 Series mild carbon steel models. Both new irons feature an inner cavity weight shelf design that puts added mass behind the face impact area. Why do forged clubs give a player more feedback and control than their poor cousins, the lowly cast irons? First, the soft metal used in a forged iron allows the ball to stay in contact with the club longer, giving better players the ability to work the ball, or to shape a shot, as they say. With the 704's, I can feel where on the face I have hit a shot -- and that can be a humbling experience! Hitting a forged 3-iron can make you feel like Superman on one stroke, and Pee Wee Herman the next, depending on where you catch it. If you hit it well, the feedback is almost palpable, the sweetness returning through your forearms to your hands and making a golf-swing like a mini-massage. On the other hand, when you miss, the feeling can be fearsome and cruel, sending an out-of-phase shiver through you as you watch the ball slice hard a mere 140 yards or so! That is why you should be a 10-handicap or lower when you decide to play a club like the 704, but the good news is that the cavity back provides a nice balance between forgiveness and shotmaking. A traditional blade might make you break down and cry after a few shots, while these clubs allow the better player to take his or her game up a notch, and that much sought after x-factor is consistency. You actually get to know your golf swing better using these clubs, resulting in improved performance if you can get over the initial hump. 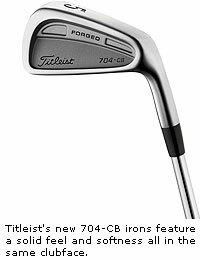 The 704.CB irons are available stock with True Temper Dynamic Gold steel shafts and Titleist Victory Velvet full cord round grips. Additional shaft options are available through the Titleist custom department. 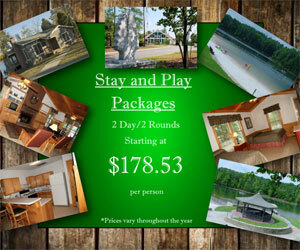 The suggested retail price is $899 for a set of eight irons and are available now.